A quick little update on things as we finish up March and onto Awesome April! I didn't post a boxing challenge preview as R.L.Malpica and I each picked the three fights exactly the same for last weekend. We each got the winners correct and one result right,so we added four points apiece for a 31-29 lead for R.L. 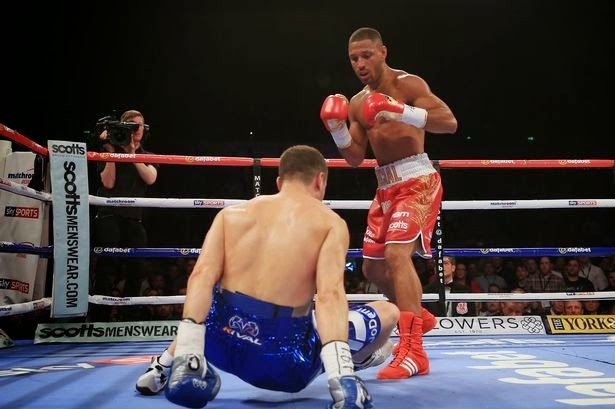 Kell Brook was very impressive in blasting out Jo Jo Dan in four rounds to retain his IBF Welterweight belt. Brook floored Dan four times and made the durable Romanian look downright incompetent. The natural fight would be an all UK bout against Amir Khan,who looks less than likely to accept the bout despite the chance to have the only 147 pound title that the Mayweather-Pacquiao winner would not have and make the most money in his career. Gary Russell won the WBC Featherweight title with a fourth round stoppage of Jhonny Gonzalez. The other bout saw Jermell Charlo take a unanimous decision in a dull bout over Vanes Martirosyan. I'll have some things tonight from the road office that should be fun,so stay close! Time to admit it-I've been a bit unmotivated here the last few days. Things starting to catch up to me,I guess. I'll try to be more positive as I want to try another health revamp,although as long time readers know,the word "another" shows the lack of success in the past. However,you cannot just roll over and stop,so lets see how this works out. I haven't had much to write about either. Two less than thrilling Devils losses on the road in Washington and Carolina,although the Washington loss was in overtime when my man Steve Bernier tied the game with less than a minute to play to force the extra period,but neither game was anything to write home. At this point,the Devils are playing out the string (It's possible they could be officially eliminated from playoff contention today) and so am I as I look to the graphing and baseball season for entertainment. Just when you get down though,you look and it hits you-today is our 8th anniversary! Yep,eight years of doing this,which is pretty significant to me and covering lots of different stuff. From various teams to issues to learning a little about me and my past,whether you have been with us from day one or recently,you have had lots of material to peruse. I'll leave it up to you whether that is good material or not,but the archives are there. I'm excited about the future here with the blog and the podcast-I'm enjoying doing both and I have some ideas for some fun things over the next year that I hope will be interesting. It's going to be a good year,I believe. Time for thanks and the list gets longer every year. 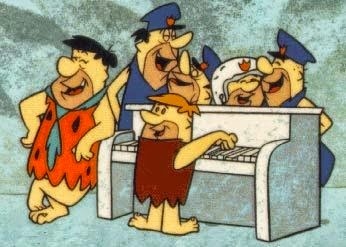 If I miss you,please forgive me,I'm at the road office,the last night of the work week and it tends to wear on you. Of course thanks to the number one person in my life,the person that hatched this idea and the person that I live to make proud of me-the lovely Cherie. Without her love and guidance,I would likely be nowhere. Thanks to my children,Ryan,who sends me ideas for the inbox at times and Rachel,who talks Devils hockey with me as they add to the blog and are both terrific people. I've made many errors in my time,but all that's good came from one smart and lucky decision long ago. Also some thanks to my friends. Bob plugs the blog and the podcast and I appreciate that and his friendship. Thanks to my graphing pals,Derreck Chupak,Brad Adams,Bill Cover and Kendall Morris. I have a terrific time spending my springs and summers on the circuit with you talking the game and the hobby and you all have become good friends to me. Special thanks to Doug Hopkins,who always calls me to see how I am,has been a great friend and gets me the soda that I can't find elsewhere! Denise Nicarry is a Suns fan (good) and a Nationals fan (Nobody's perfect),but I've appreciated her friendship so much and she reads the blog with a quick note when she likes something I've written,which always means so much to me. Krista Anderson is someone that I've known since I was five and she's always been someone that I admired for being her own person and doing her own thing. Krista has such an eclectic group of friends on Facebook that I often find things for the inbox just looking at her timeline. These three gentlemen always take time to tell me when I write something that they enjoy and add a personal note as well. With the podcast,I am still getting that type of feedback and it's always appreciated! Thanks to the two best things that I have found since joining Twitter almost two years ago in Ramon Malpica and Julie Kendall. Ramon is the boxing friend I haven't had in years and it's due to his example,encouragement and help with the technical issues that I have the podcast. Julie is a person that thinks of others first and is helping me with better promotion and marketing of the blog/podcast. Besides that,she is super nice to me and I so hope her career hits it big like she deserves. If I missed anyone,again I apologize. My sincerest and deepest thanks to all of you for what you do for the blog,podcast and for me personally,you mean the world to me. I'll keep plugging along on the road to number nine! We discuss the top ten prospects in the Cleveland Indians and Pittsburgh Pirates minor league systems. I know we just cleaned the inbox a few days ago,but these things can sometimes fill faster than others and since I have no news to write,I figured I would clean it out and keep the totals down. Before we start I'd like to thank all of you that sent notes,messages,phone calls etc as my mom has suffered another stroke. Looks like she is headed for a lengthy rehab stay as she attempts therapy to help her return to walking status. Your thoughts have been appreciated. Also wanted to thank those of you that have been giving the podcast a try. I'm planning a podcast over the next few days that will cover the Indians,Pirates and maybe Giants prospects. Normally this is a blog posting,but I think I'm going to make this a podcast and see how it works out. Two notable (to us) hirings at mid-major college basketball schools and it'll be interesting for us to follow as they head to their new jobs. 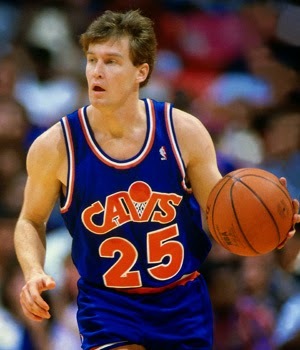 Cleveland Cavaliers legend Mark Price has held various jobs in the NBA-shooting consultant,color commentator (in Cleveland) and assistant coach (in Orlando and currently in Charlotte),but he has never been involved in college coaching-until now as Price accepted the head coaching position at Charlotte (formerly UNC-Charlotte). Price is known as one of the nicest guys in the game and super knowledgeable,so the chops are there to be an excellent coach. I'm also sure he will be liked by his players,but the top question is this-in this day and age-Can Price not be walked on by his players? A mid-major job where the players are more likely to stay three or four years seems to be a perfect starting point for Price to test those waters. Eric Musselman is notable for being a solid basketball mind that has some baggage after his NBA head coaching stints in Golden State and Utah,but has spent the last few years learning the college game as an assistant to Herb Sendek at Arizona State and last season to Johnny Jones at LSU. The 50 year old son of the late Bill Musselman will get his chance to run a college program as he was hired at Nevada (Reno) as their new head coach. The Mountain West is a better conference than is often given credit for so Musselman has work to do in rebuilding a team that went 9-22 last season,but I bet Musselman's commitment to defense might be able to make the Wolfpack contenders faster than most expect. Credit to Ryan for sending me word of the Musselman hire. We recently mentioned the death of former American League batting champion Alex Johnson and Hardball Times has a very interesting article on the career of Johnson. I didn't know (other than obvious stats) that Johnson's career stalled so badly as an Indian that befuddled teammates watched him bunt time after time as if "he had lost confidence in his ability to swing away". Good stuff on a player that at one time was among the best in the game. I usually like making stops on youtube or various sites that show abandoned sites that once were popular and now are just left to fall down. Some of these are amusement parks,stadiums,buildings etc,but this one from a photojournalist from the UK captures the former NASCAR stronghold at North Wilkesboro Speedway. The last race at North Wilkesboro as a top level NASCAR track was in the first year of my few year run as a NASCAR fan,so I have a memory of the track,but the removal for the smaller,yet unique tracks in favor of the cookie cutter speedways in larger cities was the beginning of the end of my interest in the sport and (In my opinion) the beginning of the end of the upward fan interest in NASCAR. Glen Campbell's been in the news a lot lately for his Alzheimer's and the documentary on his final tour,but this note is about another documentary-this one on the legendary studio musicians-The Wrecking Crew. Rolling Stone offers this article on Campbell's early touring struggles before he hit it big and when he opened for the Doors in the Pacific Northwest. We wrap up with the Asian "Fortune Teller" Spider,which apparently is making its home in the Southeastern region of the US. Our interview with Jennifer Pagliei continues with part three. TRS: How did you get hired by Herald-Mail TV,did you approach them or vice versa? what the company is looking for and to always apply, it just takes that one thing they are looking for. I basically got the job at HMTV6 right out of college and it was a great first learning experience for me, especially being completely new to the business. TRS: I stumbled upon you by accident at work (readers know my situation) and was so impressed,How long were you on the air there? yourself over and over again. From September to March I was at HMTV6. TRS: Herald Mail TV is only available on Antietam Cable and nowhere else. Did you find the lack of exposure frustrating or was it refreshing because you could learn with fewer viewers? JP: Yes and no. On-air time is on-air time. You learn the ins and outs and the basics. I think this was a great first job experience for me. But to be able to grow you must be able to move on to bigger things and more challenging experiences. 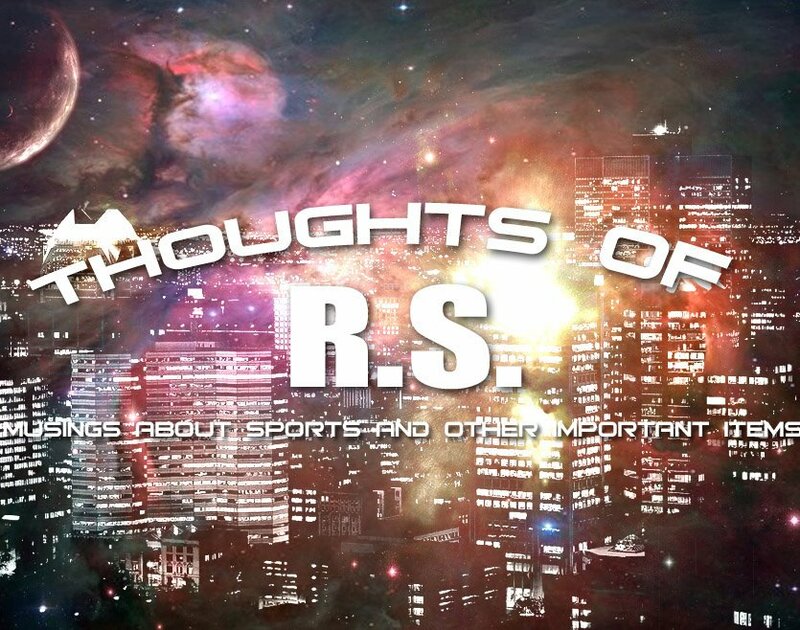 TRS: Hagerstown media is very small and is very much like starting at the lowest level of minor league baseball-Tell me the pros and cons of this. get up in the morning knowing I was going to go to work and do what I love. We will conclude our talk with Jennifer Pagliei in a upcoming post. I was planning a larger post,but I'm going to delay it a bit due to a family issue with my parents,so I'll settle for a cleaning of the inbox. Hardball Times hammers this pitch out of the park with a in-depth look at the managing record of one Charles Brown. Recently I was talking to golf writer Pete Pappas about meeting players on the tour and Pete sent me this link from his blog,PGA Pappas about his meeting with Jack Nicklaus in 2013 at Akron's Firestone Country Club. It is a super read about how sometimes your heroes measure up to your hopes of them. Someone on Youtube finally uploaded the theme of the USFL San Antonio Gunslingers and I had to share it. I've been looking for this since ESPN 30 for 30 on the USFL and former Gunslingers QB (and college coach) Rick Neuheisel sang a bit from the song. If you listened to the last podcast where I spoke about the Monarch Butterfly,I discussed the problems currently with the Monarch habitat,well this site offers seeds for milkweed to add to the Monarch habitat for a very nominal cost. For a team going nowhere,but the golf course in a few weeks,the New Jersey Devils put forth a strong effort in a playoff atmosphere against the visiting New York Islanders,but two mistakes doomed them to a 3-0 loss at the Rock. Cory Schneider finished with 27 saves in defeat. The Devils host Los Angeles in their next outing..
1) The most disappointing thing was that I missed the final two periods of the Devils Friday win over Buffalo rather than this one. Steve Bernier scored two goals for New Jersey in that win. 2) The game winner by the Islanders was scored by Eric Strome off a miscue as Cory Schneider shot the puck into the corner and take your pick of Eric Gelinas being slow to the puck or shoved off the puck,which allowed the Islander to control it and fire to a cutting Strome for the goal..
3) The Devils committed just one penalty,but the goal that took the Devils out of the game was affected by the that. The Islanders scored just as the penalty expired on Travis Hamonic's goal. 4) Cory Schneider isn't Martin Brodeur in handling the puck and it showed on the game winner. Schneider has been very strong in goal,but it'll be interesting to see if teams play more dump and chase to make Schneider play the puck more. 5) If there was a game that makes you look at the Devils needs for next season,this was it. Lack of finishes (such as on a Steve Bernier/Scott Gomez two chance possession) and the lack of creativity is the main issue-the Devils need two scorers for next season. If they don't get them,look for the same mediocrity for next season. 6) I did love the atmosphere in the crowd as the place was loud as lots of Islanders fans were at the game. I was reminded of the feel of a Ranger or Flyer game and that's a good thing. The Islanders have always been the little brother of rivalries because the Islanders have been bad for so long that you almost felt sorry for them. I'm sure most of you long term readers recall that I was a Eagles fan from 1987 to the beginning of the Andy Reid years. I became an Eagles fan because of my huge fandom of Buddy Ryan,I loved the crisp,kelly green uniforms and the Eagles ranked right there with the Browns. That is how I became friends with Jeff Obert-Thorn through the Eagles and the draft. I slowly pulled away from the Eagles between the hatred of Andy Reid's West Coast offense,a dislike of Donovan "Blame anyone,but me"McNabb and the change of helmets/uniforms to the infamous Midnight Green,but between my continued love for the teams I followed (those Eagles reside high right beside the 70's George Allen Redskins and the 70's & 80's Broncos of my youth) and the passion for the tradition of the game,I dove into Eagle culture. 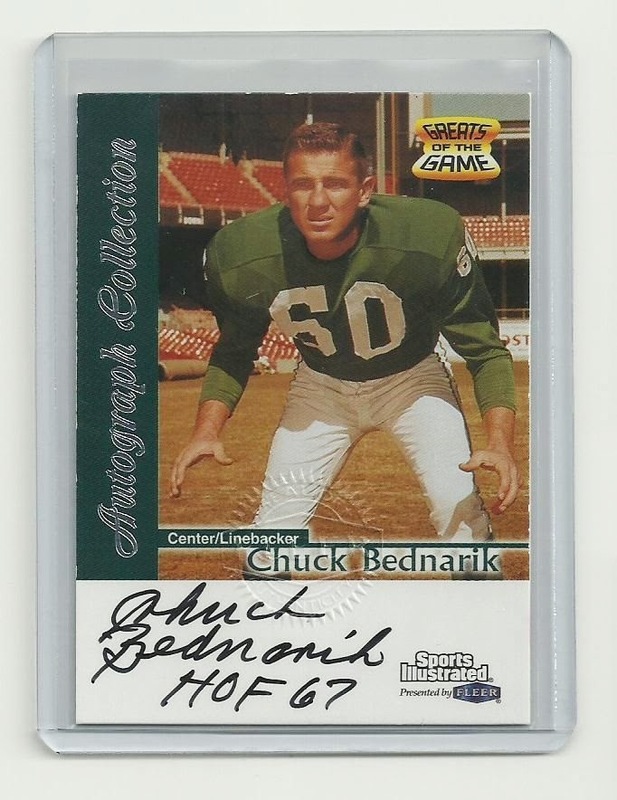 And there is NO more loved Eagle by Eagle fans than Chuck Bednarik,who passed away this morning at the age of 89. The last of the two way players (center and linebacker),the first ballot Hall of Famer (1967) would likely be the hands down winner if there was a voting for "Mr.Eagle". The legendary "Concrete Charley" is remembered by most for two plays from the era where there isn't a ton of footage available-his tackle of Jim Taylor,holding Taylor to the ground as the time expired (it was legal then) in the last Eagles championship team in 1960 and the hit that drove Frank Gifford from the game for a season and change with the resulting iconic picture of Bednarik standing over a limp Gifford,like Muhammad Ali standing over Sonny Liston. However,there was far more to Bednarik than just those plays-his distinguished record with the Air Force in World War II,missing just three games in a career that spanned parts of three decades at positions that required a physical player to play and being an iconic figure to Eagles fans for just a few. Bednarik was from a time when toughness was a prerequisite to play the game,not just being fast and strong in a workout. The players of today are certainly faster,stronger and maybe even more talented,but they sure weren't tougher and they sure weren't grounded to earth like the players of old. Chuck used to laugh when guys like Deion Sanders were touted as two way players which led to the famous comment that Sanders "couldn't tackle my wife",which if you had ever seen Deion Sanders tackle might not have been far off and I've never even seen Mrs.Bednarik! The greatest generation continues to fall by the wayside and time defeats the toughest of us all,but I can safely say I doubt I'll ever see someone like Chuck Bednarik in the NFL in my lifetime again. The Cleveland Browns completed a long rumored signing as the Browns inked former Kansas City Chiefs wide receiver Dwayne Bowe to a two year contract with terms undisclosed at this time. Bowe was an impact player at one time,but has become more of a solid possession player as he has aged. The 30 year old's numbers have slipped since his peak season in 2011,but still caught 60 passes last season,although he did not catch a touchdown pass in the campaign. 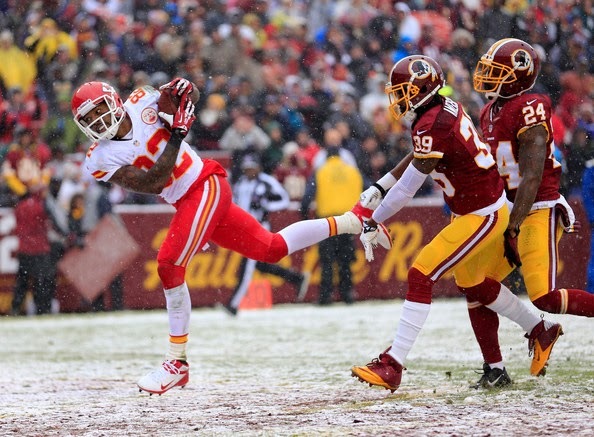 Bowe averaged 12 yards a catch,but only 50 yards per game and his longest play was a 37 yard gain. Clearly,this is not the player that made the Pro Bowl three years ago,but he still is a solid enough receiver to be a decent addition. Bowe's numbers have slid and he is 30 now,but the Chiefs have had less than terrific passers throwing to him,although if that was a factor in Kansas City,it is very likely to be an issue in Cleveland. This is not a signing that makes the wide receivers a strong bunch,but Bowe was the best veteran available,with the arguable exception of Michael Crabtree,so you cannot fault the Browns for signing Bowe,although you could have blamed them for not acting earlier. The Browns clearly had targeted Bowe and signing him after the Chiefs had released him allowed them to pass on other options. Cleveland is following the Baltimore blueprint of trying to sign released players rather than free agents in order to pile up compensations picks in the 2016 draft. Only Tramon Williams was a free agent among the Browns signees and I would say the Browns are very likely to add those picks. The system compensates teams that lose more free agents than they sign and the Browns rank dead last in earning compensation picks since this system was instituted. For better or worse,the Browns have a plan and for right or wrong,they are sticking to it. 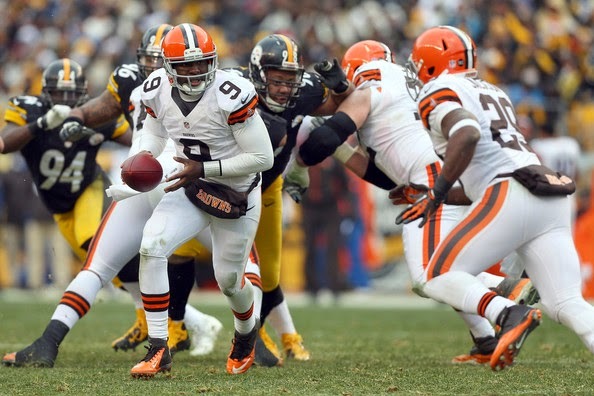 They better as even though some of the new Browns might prove helpful,they aren't going to turn the franchise around. I still think the Browns need to address the spot in the draft with someone that can get downfield and open up those crossing routes for veterans like Bowe,Brian Hartline and Andrew Hawkins,so if a player like Kevin White,Amari Cooper or DeVante Parker falls to 12 (one of them might),the Browns still have to give this position serious consideration. Hopefully,Dwayne Bowe will be more like Andrew Hawkins than Davone Bess and give the Browns something to bridge the gap from bottom dweller than the hoped for eventual contender status. We return with part two of our interview with Jennifer Pagliei. I've gotten some nice notes about part one including one from our longest running top fan-Big Don,who really enjoyed part one! TRS: What made you want to make that your career and was there something else before weather that you changed your mind? want to be on-air talent or was there something else that you had interest in in the weather field? JP: It really was mostly being on TV my main goal and it will always be. I would also enjoy, if it came down to it. interested enough to make it a career? they are happening. This began my passion. interest in pre-career or during it? are so many severe weather events that got me glued to the TV and wanting to know what was going on at all times, and how it was happening. TRS:If you needed to specialize in weather,what would your choice be? severe weather. I always wanted to go storm chasing! In the future part three,Jennifer discusses her start in the television business and life in a small market. Cory Schneider was spectacular in goal with 35 saves and that was almost enough to insure victory against the Pittsburgh Penguins on the Devils annual Red and Green uniform night in Newark. Fortunately,Jacob Josefson scored in the second period (5) for all the scoring the Devils would need in a 2-0 win. Adam Henrique would clinch the game with an empty netter (16 Empty Net) for New Jersey. 1) Cory Schneider continues strong play in net with 35 saves against a team the caliber of Pittsburgh was quite impressive. 2) Extra pictures tonight because I just love the red and green. The red and green brings me back to when I was originally a Devils fan and even though I don't dislike the red and black,the red and green was unique. Lots of teams through sports use red and black,very few red and green. 3) Jacob Josefson set a career high in goals with his fifth and seems to be rounding into form. Josefson (like Adam Larsson) was always to me a player that looked to be lacking confidence. Since the firing of Peter DeBoer,Josefson seems to be playing with more of that and I wouldn't be surprised to see him sitting on a career year next season. 4) The play on the Josefson goal though was made by the long absent Michael Ryder,who put just enough of a nudge off a Eric Gelinas bounce off the boards to get the puck to Josefson for the chance. 5) The Devils didn't commit a penalty in the victory. When you can do that normally,you will win your share of games.but against the Sidney Crosby led Penguins and keep that bunch off the power play-that's massive! 6) Speaking of Crosby,give the defensive pairing of Andy Greene and Adam Larsson lots of credit for locking down the Pittsburgh star. Crosby had his chances,but both defensemen played very well. The Cleveland Browns finally began to take some action in free agency as the Browns signed corner Tramon Williams as a free agent from the Packers and defensive tackle Randy Starks,who was recently released by Miami. These are not players signed for the long haul,both are in their early 30's (Williams 32 and Starks 31),but the Browns are hoping to get a quality season or two from each to build a bridge to a younger player at those positions. Williams was signed to a three year deal for 21 million,which is more per season than the Jets signed Buster Skrine away for,which speaks volumes for how this organization is currently thought of,while Starks was signed to a two year deal worth eight million. No word on how much of the contracts are guaranteed,which is the most important thing when looking at contracts in the NFL,but on the surface,I'd say the Browns overpaid for Williams,which is likely what it took to land a player with his resume',but may have gotten a low risk bargain in Starks. Tramon Williams was last seen being the player burnt by the Seahawks for the game winning score in the NFC Championship,but has started for the Packers for years and has proven to be a durable player. Williams has intercepted 28 passes in his eight year career and in the last five is second only to Joe Haden in passes defended,so this is a quality player-IF..
Williams is not a player on the decline and when I talked to Ryan about Williams,he seemed to think that this was a possibility. Ryan said look at the Packers track record under Ted Thompson and look at the players that they allowed to leave,the results generally favored the Green Bay side of the ledger. At seven million dollars a season,the expectation is that Williams will start on the corner opposite Joe Haden unless Justin Gilbert gives the Browns what they expected last season and beats Williams out. In that scenario,the Browns could shift Williams to the slot corner and have one of the better secondaries in the game.. Seven million per year is sort of high for a slot corner,so one would think the Browns are hopeful of a Justin Gilbert maturation,but they are attempting to cover themselves and not counting on it. 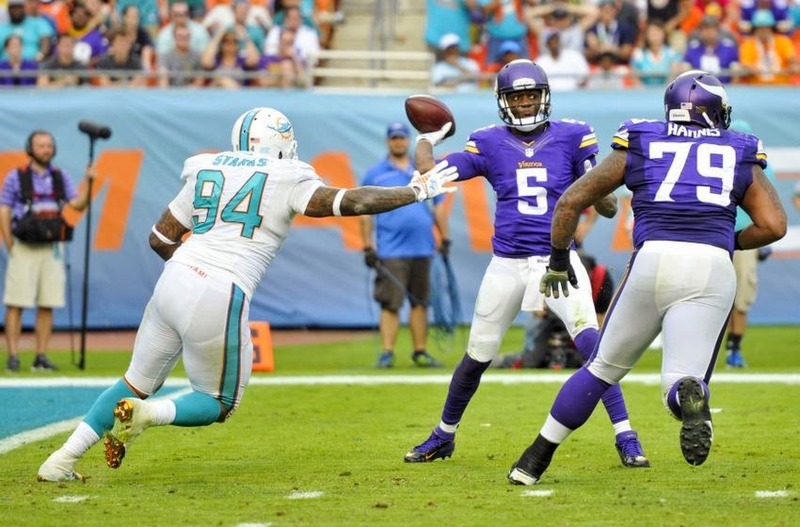 Randy Starks is a two time Pro Bowler and is a player at 31 that Miami released mainly because of their signing of Ndamukong Suh and could be one of the few that is a solid pass rusher from the defensive tackle position. Starks had 4.5 sacks last season as a Dolphin and in eleven seasons,Starks has missed just five games,so once again in theory,the Browns may have signed an older player,but one that has proven to be a durable one. Starks is not noted as a run stuffer,so look for the Browns to still look at a defensive lineman early in the draft,but between Starks and a hopefully healthy Desmond Bryant,the Browns should have a surprisingly strong interior pass rush. I think the Browns overpaid for Tramon Williams,but being in Cleveland with a losing franchise,the Browns will have to overpay players until they turn things around. The Browns overpaid last season for Karlos Dansby and Donte Whitner and just because you overpay doesn't mean that it always is a bad signing. It's pretty clear to me that the Browns are attempting to leap ahead in the rebuilding process by building a strong veteran defense to make up for a less than dynamite offense. This,at least,is a step towards that goal. Our latest podcast with Simon Shadows on Mid-South Wrestling. One thing about my job is that I need to follow the local weather,especially in fall and winter, and do so closely. As a fan of weather and I'm usually trying to learn more every day,I watch a lot of weather programming. I've noted in the past that I've had my periods of disenchantment with the Weather Channel (releasing Nicole Mitchell and being more reality show based than weather) and then Weather Nation,which was very good when based in Minneapolis before dropping in quality when they transferred operations to Denver with all new staff. 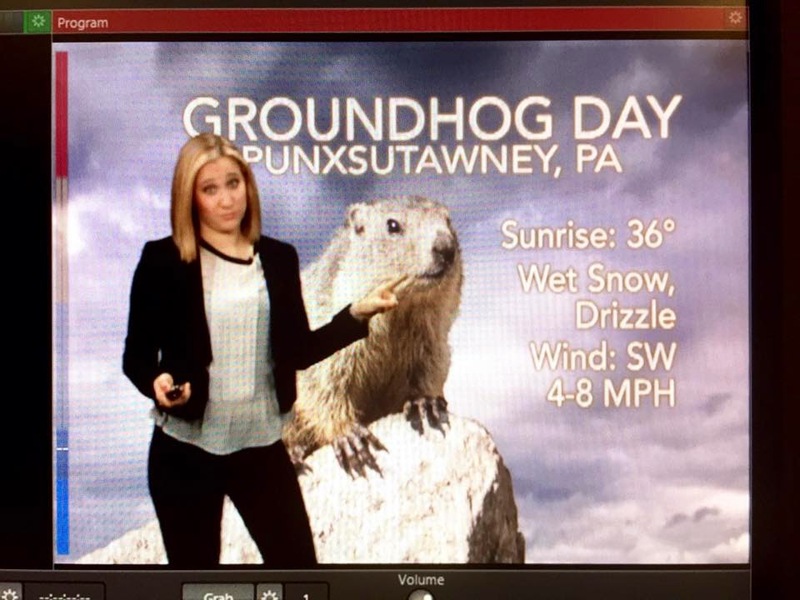 So it came as a shock to me when sitting at work trying to get a local weather report that a meteorologist was not just good on the screen,but knew the topic without stumbling over the words and terms. Hagerstown is usually the first stop for persons beginning in television and I've always said when you see someone talented here-take a good look because they won't be around long. 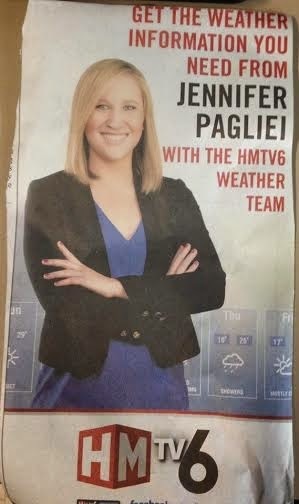 That was the case with Jennifer Pagliei,who didn't work for the only network affiliate in town,but for the Herald Mail 6 crew,which is only available via the local cable company and as a result,only finding her at work was an extreme longshot. Jennifer indeed didn't stick around long as she is headed for Springfield Massachusetts,home of the basketball hall of fame. However,before she left on the next step up the ladder,Jennifer was kind enough to do an interview with us,which we will be posting over the next few slow days. Jennifer has also agreed to do an occasional podcast with us from Springfield,so look for her occasional appearances there as well. Thanks to Jennifer for taking the time for us! TRS: Your bio says you went to Rutgers,why the decision to go there? into place and I do not regret a thing about it. games before Rutgers joined the Big 10? TRS: When was the decision made to go into the weather industry? weather even if that meant to go behind the scenes or even research. As for now, TV is still my main career. Look for part two of our interview with Jennifer in the near future! 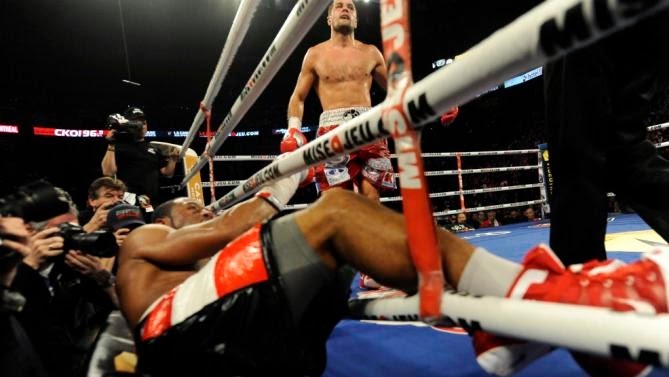 In a terrific fight from Montreal,Sergey Kovalev retained his WBA and IBF Lt.Heavyweight titles with an eighth round knockout of Jean Pascal in front of a sold out crowd filled with Pascal fans. Kovalev knocked Pascal through the ropes late in the third round and had Pascal hurt to the point that I would say that the bell saved Pascal from losing the fight right there. For boxing fans,the clanging bell was quite fortunate as Pascal rallied and even won a few rounds in an exciting and competitive bout. Kovalev closed the show in the eighth with Pascal in a corner taking booming right hands off the skull before the referee stopped the bout over Pascal's protests,but it appeared to be a good stoppage to me..
After the bout,WBC champion Adonis Stevenson claimed he would finally fight Kovalev. Until I see that signed,color me dubious of that claim. As good as the main event was,the co-feature was that bad as Vyachaslav Glazkov won a bad bout that was dull to watch and then compounded by an awful decision over Steve Cunningham in a heavyweight title eliminator. Glazov won on all three cards and appeared surprised that he won. I had Cunningham winning 116-112. R.L. Malpica earned four points to my three in the boxing challenge and boosted his lead to 27-25. Saying goodbye to "Tony Clifton"
It's funny how things work sometimes. On Wednesday,I took my lovely ladies out to lunch and as we walked out of the restaurant,I saw a familiar face and commented "Look,Cherie,Tony Clifton's here". It wasn't "Tony",just someone that looked like him,but Cherie and I talked for a few minutes about the small extended family that we have at the Hagerstown Suns. You don't see them from September to April,but it's always nice getting to see them again,catching up and settling in for the season. It's people that have become good friends,people that become Facebook friends,people that are casual acquaintances to say Hi as you walk by and people that you just see from a distance at the games. We agreed that as small as the Suns crowds can be getting to know the faces has been quite a positive through our term with the team. It turned out that one day later,the man I knew as "Tony Clifton" passed away as Jack Hill suffered a fatal heart attack. Bob Parasiliti pays tribute to his friend and colleague here and since I never shared more than a hello with Jack,I don't know enough about him to write about other than it won't feel the same at the Muni without the color coordinated outfits with the colored softball shorts from the early 80's matching a colored shirt that was far too small. No one that I knew had a bad word to say about Jack Hill. I'm sure that you are wondering how Jack was dubbed as "Tony Clifton",so here goes. 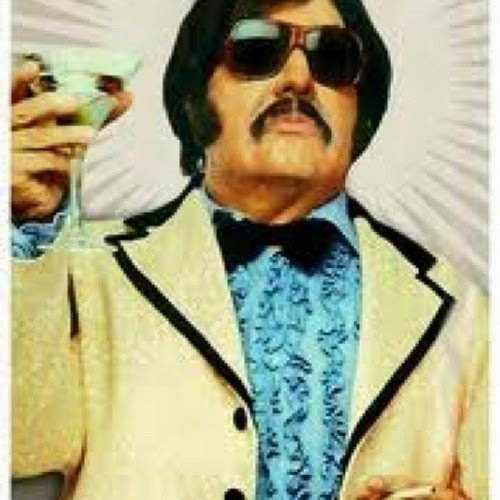 When we started to become regulars at Suns games,Jack would show up for games wearing these big dark sunglasses and combined with the short hair and tight shirts,there was a resemblance to Tony Clifton the hated lounge singer portrayed by Andy Kaufman,although Kaufman would never admit it. It's funny the characters that you become accustomed to seeing. I often wonder what happened to "Hum Baby" a guy that sat at the top of the grandstand and heckled with a monotone that said "hum baby swing" to opposing batters. And there have been others too,makes you wonder if anyone would miss me if I was gone or to the casual person,am I "someone" else. It'll be a different deal for sure in a month when the Suns begin their 2015 season because for the first time in years,I won't lean to the person next to me and say as Jack Hill climbed the grandstand "Tony Clifton in the house this evening". Spike's debut with the PBC was a mixed bag and we'll look at what I liked and disliked about the show shortly,but first the fights and the boxing challenge results. 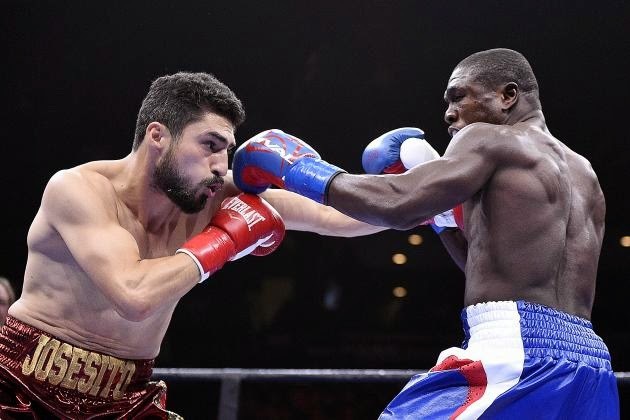 In the main event that should have been hyped as "loser leaves boxing" Andre Berto knocked Josesito Lopez down twice in the sixth round and finished the show when the referee stopped the bout. I thought the stoppage was a bit premature and had Lopez winning four of the first five rounds. The win will likely keep Berto on the periphery of title contention,but I have a feeling that Berto might be overmatched against the best of the division. In the better than expected co-feature,former IBF 147 pound champion Shawn Porter stopped Erick Bone in the fifth round. The last minute replacement Bone fought hard and kept things competitive for four rounds until a body shot stunned Bone in the fifth. The boxing challenge saw me gain a point and snip the lead of R.L.Malpica to one point at 23-22. We both earned four points for the Berto and Porter wins and knockouts.but I snared a bonus point for picking Porter's round correctly in the fifth. We move on to the Spike production of their first card for Premiere Boxing Champions and a a few words on that. When I saw the names involved with the Spike cards,I must admit to rolling my eyes a bit. Dana Jacobson,who I had never been a fan of going back years to her days on the ill-fated Cold Pizza on ESPN, as host? Scott Hanson from NFL Red Zone as the blow by blow man? 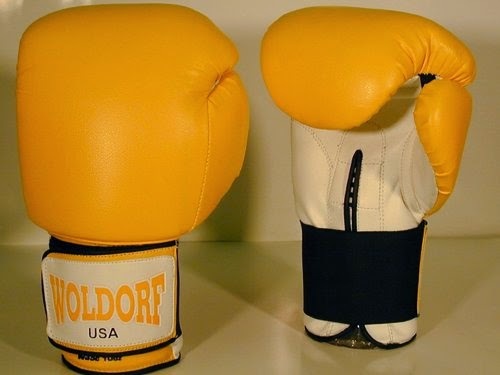 I admit to thinking,where is their boxing background? Are they fans or is this another example of television networks thinking anyone can cover boxing without even a minimal background? Well,both were at least well-prepared for this one. Hanson needs more experience on blow by blow and there was an occasional hiccup,but for a first try,he was more than acceptable,but the real surprise came with Jacobson. I'm big enough (literally) to admit when I was wrong and I was on this night. I had been very critical of Dana Jacobson in her ESPN days,but she was prepared,knew her stuff,didn't stumble over name pronunciation (like happened all night on NBC's PBC telecast) and came across as classy and yes,even charming in her role as host. Jacobson walked Thomas Hearns through their discussions with kindness and care and for that, I am grateful. You see the "Hitman" is one of my favorite fighters ever,but the long career and punches taken have left the "Motor City Cobra" more than a bit hard to understand and his thoughts can sometime wander off point. Dana Jacobson got the needed perspective out of Hearns and did it in a way that allowed Hearns to have his dignity. Very well done and I'm glad to say I was wrong about Jacobson being the wrong hire for the position. Not all was smooth though as I still had a few issues. After two PBC shows,I'm still not a fan of the ring announcer. I'm not a fan of him being outside the ring and he doesn't really build drama either.. I know Spike is trying to brand their Friday nights as a combat sports block with Boxing,kick-boxing and MMA,but it seemed like PBC's broadcast was more MMA than boxing. The arena seemed more like a large television studio than a live venue and it didn't standout from the other Spike sports. The sound was really off. It was often hard to hear the announcers and in ring interviews and that needs to be addressed before the next show.. I think PBC made an error by keeping Spike's MMA commentator Jimmy Smith with this venture. Not that Smith is bad,but I think Antonio Tarver is quite good and Smith's (or anyone else's) presence reduces Tarver's analysis time. Considering that Scott Hanson will be learning on the fly,Spike might be better suited to go with a basic two man booth for now. Smith may be a boxing fan (I don't know),but he clearly is more suited for MMA. I give this a solid B+ with the surprises and in simple presentation,I liked Spike's performance better than I liked NBC's. The New Orleans Saints continued their revamp with their third trade this week and another big free agent signing. New Orleans signed former Buffalo Bills first round pick C.J.Spiller to a four year contract worth 18 million. 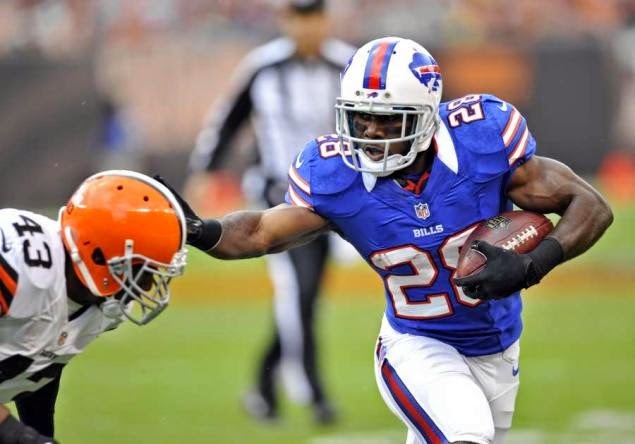 The often spectacular Spiller missed seven games last season and despite a thousand yard season in 2012 was never used as the full time starting runner in Buffalo,usually sharing time with Fred Jackson. Spiller is tremendous in the open field,very fast and versatile enough to be used in the passing game as a receiver. The Saints sputtered last season after trading Darren Sproles to Philadelphia in the short passing game and Spiller was brought to the team to hopefully bring what the Saints missed so badly without Sproles to the offense. Spiller is certainly capable of adding that dimension as long as he is physically able. I think that's more than possible as Spiller's injury last season was a broken collarbone and should be easier to return to full speed than a knee injury or torn muscle. I think this is a very nice signing and shows the Saints are being proactive in attempting to revamp now before Drew Brees ages too badly. The Saints then added another 2015 draft choice and bulked up a flagging defense as well as New Orleans shipped wide reciever Kenny Stills to the Miami Dolphins in return for linebacker Dannell Ellerbe and a third round draft pick. Stills was just 22 and was often used as a deep threat as he averaged 16.5 yards per catch in his two years after being drafted in the fifth round in 2013. Stills was known for the long route and the occasional drop,but at 22 has plenty of football ahead of him with the Dolphins. Dannell Ellerbe had an excellent 2013 with Miami after signing there from Baltimore,but had an ugly hip injury in 2014 and missed all but one game last season. Ellerbe was known for his speed and range,but it'll remain to be seen with Ellerbe,just how he will return from an injury known to affect those qualities. Ellerbe has agreed to restructure his contract to help the Saints lower their cap space,so the cap hit for a team looking to shed dollars will not be as bad as reported. The Saints also add the Dolphins third round selection,which give New Orleans multiple picks in the first,third and fifth rounds as the Saints enter a pivotal point in a rebuild. I like the Saints adding picks and Ellerbe (assuming he is back to form) should help a defense that was porous last season. However,when your top commodity is your quarterback and you have just taken away his top deep threat and the best tight end in the game,you have to wonder how the Saints are going to address the receiving corps. Kenny Stills could very well turn out to be badly missed. Could the Saints use one of these picks for another receiver? Or maybe a recently released veteran such as Stevie Johnson or Dwayne Bowe? R.L.Malpica leads the boxing challenge 19-17,but with a weekend of big fights,I'll have a chance to catch up. The New Orleans Saints continued their off season moves with a signing and a trade as the team signed Brandon Browner to start at cornerback and traded starting guard Ben Grubbs to the Kansas City Chiefs in return for a fifth round draft pick. 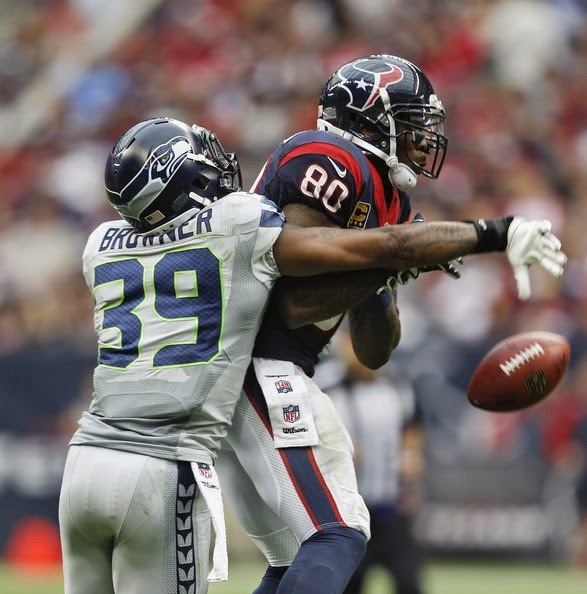 Brandon Browner will make New Orleans his third stop in three years after starting for Seattle and New England in the last two years. The ramgy and physical Browner will attempt to improve a corner that was a weakness for the Saints last season after Champ Bailey was signed to start and then failed to make the team. Browner will turn 31 before the beginning of the season. New Orleans then traded starting guard Ben Grubbs to the Chiefs and on the surface,it makes one wonder what the Saints have planned as one argument behind trading for Max Unger was to form a strong middle of the offensive line,yet they just traded one of their stalwarts. Grubbs is 31,so perhaps the Saints have plans to get younger at guard either in the draft or perhaps by moving a veteran to guard and drafting a tackle. The Saints were rumored (after the fact) to be considering releasing Grubbs in June,so getting something for a player that they may have released later has to be considered a small victory. It appears that as I worked on the Jordan Cameron article,the Browns have lost Cameron to the Miami Dolphins. Cameron signed with the Miami Dolphins on a two year deal. I'm disappointed mainly because I had already put Cameron in the lost cause department and had my hopes unfairly raised. I wouldn't want to be Cameron should he ever return to Cleveland for a game,but this could be a case of the media running with something that was not finalized. Cameron's skills and ability are unquestioned,but as I wrote in the FA preview,he could be one hit away from being out of the game. Meanwhile,the Browns still don't have a pass catching tight end. Charles Clay won't be back with Miami after they signed Cameron,but the Browns will have to outbid Buffalo,who appears to have the inside track on the veteran. I still think Jermaine Gresham would be a nice addition,but last I heard he was talking to the Raiders. Lesson learned by me.When the Browns are the subject,tread cautiously. The Cleveland Browns had been ridiculed for not being active on the first days of free agency. Inactive to the point of adding no one and only the re-signing of special teamer Marlon Moore kept the Browns from not appearing on the transaction wire at all. Suddenly,late in the afternoon,a surprise came from Cleveland as the team re-signed tight end Jordan Cameron to a two year deal with 15 million as the cost of doing business. Cameron had been looked at as the best available tight end in free agency,but had expressed discontent in Cleveland and was rumored to be a target of contending teams. However,when Seattle landed Jimmy Graham via trade and took themselves out of the tight end market,Cameron found his suitors limited and decided to surprisingly stay with the Browns. that have plagued him over his career and kept him out of six games last season. However,it is one well worth taking as Cameron,when healthy,is solidly in the second tier of pass catching tight ends behind Graham and Rob Gronkowski and is one of the few tight ends that are able to split the seam downfield for big plays,such as his 81 yard catch and run for a touchdown against Carolina. The deal works for Cameron too as he will have the opportunity to prove that his health is fine as that has far more questions than anything else and with just a two year contract,Cameron could be back on the free agent slab at the age of 28-prime years for a big contract. The only other Browns addition of the day was the return of one of the Browns passers of the past,even if only for a short period of time. Thaddeus Lewis returns to Cleveland after time spent as a Bill and Texan to most likely battle Connor Shaw for the third string position. Lewis was a Brown for two seasons in the Pat Shurmur era and is most (Ok totally) remembered for his surprisingly competent start in the final game against Pittsburgh in 2012. The mobile Lewis is always popular with his teammates and coaching staff and this staff knows Lewis from his Buffalo stint. I would give Lewis a very good chance of making this team in the third string slot and I wouldn't be against him in that position. It is not the most inspiring signing,but all jokes aside,this signing will help in the locker room and at worst adds an extra arm to training camp. 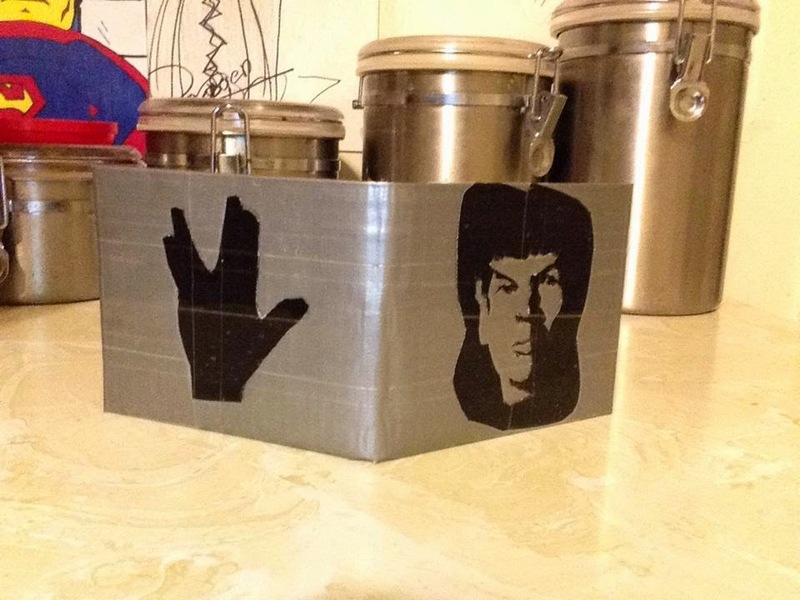 We start with our non-sports cleaning of the inbox with a word of thanks to Rachel for the awesome wallet of Mr.Spock. It was a complete surprise and super cool. Speaking of Leonard Nimoy,I read many articles on Nimoy after his passing and the best was this tribute from Grantland. It's really the best synopsis of a career and yet tells you about the person himself. Michael Beschloss of the New York Times offers two articles with this one being an interesting article on the friendship between two of my favorite Presidents (Johnson and Truman) and how it helped Medicare pass along with a story of where the bill was signed and how that location was picked. I love stuff like this and usually make time to read. Beschloss's other article is on the looming 50th anniversary of the Astrodome as a facility now deemed "unsafe for public use,but looks back at the opening of the dome with the aforementioned Lyndon Johnson in attendance along with all the bells and whistles that came with such a groundbreaking stadium.. I also liked the note on the Presidential Suite inside the Dome. It screams 60's,but that's not so bad,is it? Another Grantland basehit as they ask why aren't more of you watching The Americans on FX. 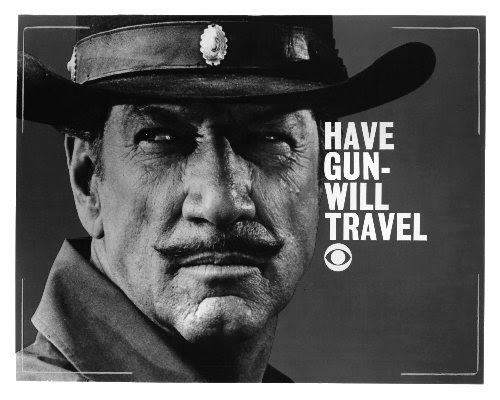 The 1980's cold war thrillers about sleeper agents from the USSR living in America is one of the best shows on today. Letterman Memories,which as you could have figured,is a site that is devoted to the years of David Letterman on television,has an interview with long time media critic Tom Shales. 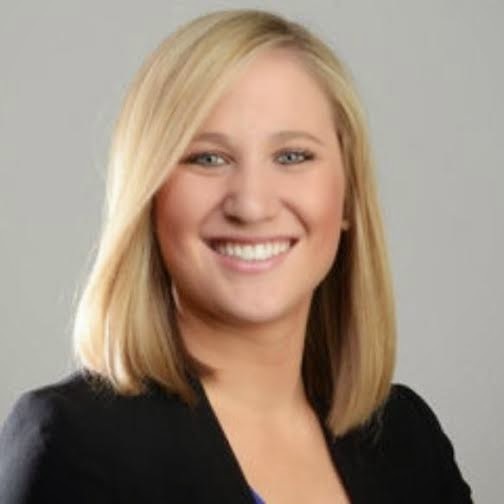 We wrap up with an article on ESPN reporter Heather Cox from the Boise Statesman. It isn't as much about sports as it is about Cox,the demands of being on the road and the Boise area. Slow news day as the Cleveland Browns signed no one on the crazy first day of NFL free agency and the Devils looked awful in Minnesota as the Wild smacked them around to the tune of 6-2 in a game so bad that I tried to go bed at 4-1. I haven't been sleeping well at all and I was tired,although the net result didn't really end well,it still beat watching a beatdown of a hockey game. Still we had some news as the New Orleans Saints pulled the blockbuster of the day. We pull for the Saints in the NFC,although I don't have the time to write about them all the time here. I do watch New Orleans every week though,so I think I'm knowledgeable enough about the team. The Saints sent Pro Bowl tight end Jimmy Graham and a fourth round pick to the Seattle Seahawks in exchange for Pro Bowl center Max Unger and the Seahawks first round pick. Graham had issues with the Saints front office before last season and had to go before an arbitrator concerning his contract. Graham is one of the two elite tight ends in the league that teams have to game plan to stop and in Seattle,he could be the main cog that the Seahawks passing game needs. Graham did see his numbers droop a bit from their usual highs and sometimes showed less than standard effort on plays. As for Unger.a former two time Pro Bowler,he should upgrade the Saints interior line and with two excellent guards in Jahri Evans and Ben Grubbs,the Saints should be able to protect Drew Brees better this year than they did last year. With the height and lack of scrambling ability of Brees,the guards and center are more important in pass protection than the tackles and I can see why the Saints wanted Unger. Unger missed ten games with injury last season,so it is an assumption that Unger will be back to his normal par. If that's the case,this deal should work well for both sides. New Orleans has two first round selections now that they could address needs or even take the eventual successor to Brees at quarterback if they prefer and rid themselves of a potential malcontent in Graham. The Cleveland Browns began to address their painfully obvious issues at wide receiver on the evening before free agency's start with the signing of Brian Hartline to a two year contract. Hartline,who is from Canton and played his college football at Ohio State,saw his numbers drop last season,but in the previous two seasons,Hartline caught over seventy passes and over one thousand receiving yards in each. The 6'2 Hartline isn't a speed burner,but possesses enough speed to keep defenses honest and should be a badly needed upgrade to the corps. At worst,Hartline should be to match or exceed what Miles Austin did last season for the Browns. 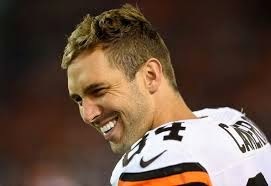 Austin is a free agent,but I would be in favor of the Browns attempting to bring Austin back to the team. Hartline does not eliminate the issue of lacking a true number one receiver,but adding him to Andrew Hawkins,who might able to move to the slot position that he was signed to play and Taylor Gabriel does make things better at the position. I still believe the Browns need another receiver either early in the draft or another veteran,although a veteran that would be available in the market would be more along the lines of Hartline and not a true lead receiver. In any case,Hartline is a upgrade at an affordable cost (three million per year) and considering that he will not count as a free agent signing (Miami released him),the Browns could be possibly adding compensation picks for the first time in a while in the 2016 draft. I'll expound more on that in the Browns free agency recap,but it is an interesting strategy to consider. The Cleveland Browns seem to be small players in free agency according to rumors,but the Browns will sign some players and they should with the holes that this team currently has. It seems that Ray Farmer wants "to build through the draft" which is admirable,if you manage to keep players that you have developed into contributors,which looks unlikely as I'll write below. I'll be looking at various positions that could use help and with a few players that I would like to see in Cleveland at those positions. Offensively, the Browns have huge needs at wide receiver and tight end. A number one wideout needs to arrive via free agency or the draft. If you draft one,I'm fine with the Browns going after a Michael Crabtree or a Brian Hartline in free agency,but the elite WR's are already signed elsewhere (Jeremy Maclin to the Chiefs),signed with their current team (Randall Cobb in Green Bay) or franchised (Dez Bryant in Dallas and Demaryuis Thomas in Denver),so it appears that the best available are the aging Andre Johnson,deep threat Torrey Smith,who struggled as the number one in Baltimore and maybe Percy Harvin,who doesn't seem like a Mike Pettine fit. The Browns don't appear to be interesting in bringing back Jordan Cameron at the price that he wishes. Despite the ability and skills that Cameron brings,I can understand the reluctance with Cameron's injury filled past with concussions. Cameron is a huge risk and one that I could live with the Browns not wanting to take that chance. Two tight ends that would make sense to me with the blocking types of retainees Gary Barnidge and Jim Dray are Jermaine Gresham of the Bengals and Owen Daniels of the Ravens. Daniels had big years catching the ball with Houston and at minimum brings a red zone target that resembles Cameron. 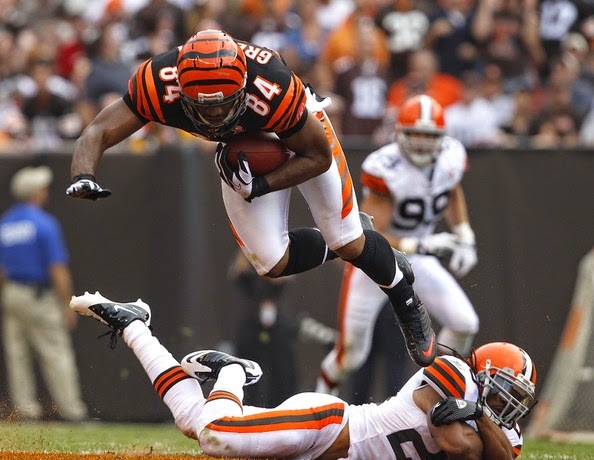 Gresham was underused in Cincinnati in my opinion and might be a high reward signing for the Browns. Of the two,I prefer Gresham.. The offensive line could use a little help,but I don't see the Browns investing dollars here unless they want a new right tackle for Mitchell Schwartz to fend off. The tackle crop is light this year,so I would likely say it would be a depth signing more than someone brought in to start. 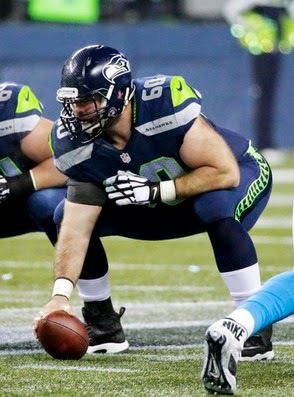 The guards are solid with Joel Bitonio and John Greco,but if they wanted a third guard,I've always liked the Falcons Justin Blalock. Cleveland has likely made their quarterback move with Josh McCown and I don't see the Browns signing a quarterback,although they could draft one or even trade for one in the right circumstance (Sam Bradford or Nick Foles). The Browns seems set at running back with youngsters Isaiah Crowell,Terrence West and Glenn Winston,but a veteran to fill the role that Ben Tate didn't would be a nice addition. Two players that might be nice at an affordable cost would be Roy Helu of Washington and Pierre Thomas of New Orleans. Both could slip well into a back rotation and can catch out of the backfield..
On defense,the Browns need two things badly-a outside rusher opposite of Paul Kruger and a run stuffer inside to match with the returning from injury Phil Taylor. The defensive tackle that would be preferred would be either Dan Williams of the Cardinals or Nick Fairley of the Lions. A cheaper alternative might be worth risking a flyer on B.J, Raji's return from injury from the Packers. Jabaal Sheard never took to being a standup 3-4 backer after being a great 4-3 end. If it is from a defensive end,Trent Cole is a proven standout from Philadelphia,but he is 32 and his numbers dipped last season. 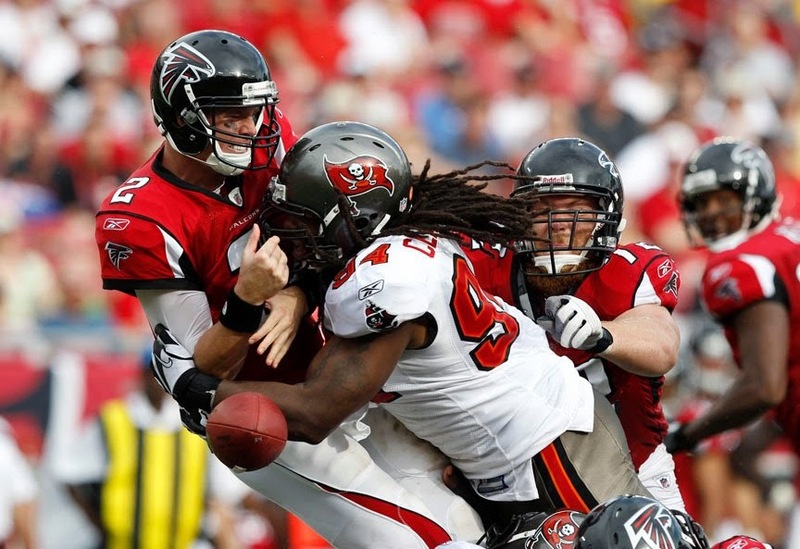 I'd be fine with Cole or either of the two young Tampa linemen in Adrian Clayborn or Da'Quan Bowers. Both have potential to breakout after not being a fit in the Lovie Smith defense last season. If the Browns prefer the rush to come off the edge from a linebacker,Jason Worilds of the Steelers knows the division and Brian Orakpo of the Redskins are interesting to consider. The Bills re-signed Jerry Hughes today,who been thought to be a Browns target at this position taking him off the board. The Browns drafted Justin Gilbert to move Buster Skrine to the slot corner,figuring that Skrine would be cheaper to re-sign after the season. Assuming Skrine leaves,which I think he will, and then hoping that you get what you hoped from Gilbert,the Browns could be looking for a slot corner with something to prove. I'd look into former number one pick of the Jets Kyle Wilson. Mike Pettine knows Wilson and he might be a nice signing at a good price. The Browns likely aren't signing a safety,but if they did, Kurt Coleman would be solid in the Jim Leonhard role as safe returner,dime back and special teamer. Adam Henrique scored twice (13 and 14) and Steve Bernier finished with three assists as the New Jersey Devils finished off a tribute weekend to the 1994-95 champions with a 5-2 win over the Philadelphia Flyers. The Devils also received goals from Eric Gelinas (6 Power Play),Jacob Josefson (4 Shorthanded) and Stephen Gionta (4). Keith Kinkaid finished with 25 saves as the Devils finished the homestand with the victory. 1) The day was started and made by the tribute to the 20th anniversary of the Devils first ever Stanley Cup champions. 2) Adam Henrique's two goals came on two shots,which is a solid shooting percentage. 3) Steve Bernier with three assists? Not just surprisingly effective,but showing a dimension that he hasn't always had. 4) Jacob Josefson scored his shorthanded goal off the backhand and Josefson is seeming to revitalize a flagging career. Josefson is going to be far more productive when allowed to be creative and for the first time in a while,I feel good about his future. 5) Keith Kinkaid got the start and was very strong in goal. I would say neither goal was on him and he made several strong saves. I really like Kinkaid and I hope the Devils can retain him next season. The highly touted Premier Boxing Champions series finally began on NBC with two bouts and another on NBCSN last night and it was a mixed bag as any project is when it starts from scratch. Things that I liked about the broadcast. 1) Liked the guys being in suit and tie in the buildup spots and during the bumper scenes. 2) Al Michaels was smooth enough as a host and even though some on the internet were harsh on Marv Albert and Ray Leonard at the mic,I thought they were Ok,albeit rusty. 3) Many think the the lack of entourage and shortened ring walks took away the fighters personalities. Personally.I didn't mind that,but what you did see was the subtle touch of Al Haymon (like Vince McMahon) building the PBC brand more than the individual fighters. I liked it,but many didn't. 4) I thought the graphics were clear,easy to read and identified who was who quickly and with ease. Sounds like a no brainer,but too often in sports-that is often not the case. 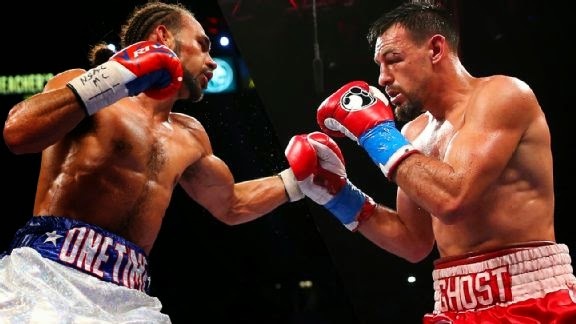 5) Keith Thurman's win over Robert Guerrero was exciting enough,but it still was a one-sided fight. 6) I hope the video circle or whatever they named it will be traveling from arena to arena. 1) Hated the ring announcer. Added no drama,little excitement and generally left me flat. 2) Kenny Rice is not great on interviews,but even worse on blow by blow (he did the Abner Mares fight on NBCSN),I could do without him and I thought B.J,Flores and Laila Ali were just OK as the corner reporters. I'll look at the corner reporters as a work in progress,but I think that needs a little bit of refining the role. Too bad that the knowledgeable Jessica Rosales from Fox Sports One wasn't available for this role and I wish someone would have talked to Steve Farhood about his unofficial scorecard instead just flashing it. 3) Adrien Broner has always been more style than substance and he confirmed that with another tedious victory ,this one over John Molina,who has now lost three fights in a row. I thought this would be a dull one from the day it was signed and I hoped Broner would turn it up a bit late considering the event and try to be more exciting. Instead,he was content to bore and get a W over a limited fighter that was there for the picking. Time for Al Haymon to face it-Broner is Floyd Mayweather lite-Little power,lots of defense,overly defensive and image comes first. Considering all that and that the real reason fans watch Mayweather is to see him get beat (watch his ratings/PPV buys fall when that happens) with the fact that Broner already has a loss and you truly have a limited draw and a somnolent fighter. 4) Good thing for the evening that Abner Mares and his win over Arturo Reyes was moved to NBCSN because it was another less than thrilling bout. I thought Mares won a close decision,but no way by the scores on the judges cards. If I am Al Haymon,I get Mares in the ring for Leo Santa Cruz ASAP because when he fights a top 20 fighter-he's losing and the name might as well go on the resume' of Santa Cruz while it still means something. 5) The Keith Thurman-Robert Guerrero bout saved the night for the PBC,but lets keep some perspective. It wasn't a fight of the year candidate,it was a one-sided bout (I had it 10-2 for Thurman in rounds,118-109 on points) that showed some nice exchanges and lots of heart by Guerrero. For all the Keith Thurman "One Time" hype,he has yet to stop a top 20 fighter with one shot. Thurman punches so much better when throwing in combinations,I think he'd be successful changing his style slightly. 6) I heard only one name from anyone about a non-PBC fighter (Lucas Matthysse) and that was to praise the punching power of John Molina. Add that to the relentless pushing of Peter Quillin for the next card when the champion,Andy Lee,just has a quick half second picture flashed because he is a non-PBC fighter and you have a McMahonesque creation in the making. I say that because Vince McMahon would never mention anyone that didn't wrestle for his group and acted like they didn't exist. It wouldn't fair to not mention the upset of the day where the touted Chinese Olympian Zou Shiming dropped a unanimous decision to the IBF Flyweight champion Amnat Ruenroeng. Ruenroeng survived a knockdown that wasn't really one and a huge crowd in China to post a clear decision (115-112 on my card). I was all prepared for a bad decision considering the home crowd,money that Shiming brings in from China and time that his promoter Top Rank has put into him,but the judges got it right with their cards. I wonder if HBO would consider bringing Ruenroeng back for a mini-flyweight tourney with WBC champ and very talented Roman Gonzalez and WBA champion Juan Francisco Estrada? Big boxing weekend as many in the upcoming weeks are as Al Haymon and his Premier Boxing Champions series begins to hit the air waves from various networks and locations. I've been loud about the need for boxing to return to network television and I've stated that I'm not sure about Al Haymon's intentions being good for the sport in making the best fights. I'm rooting for the PBC to be successful,but not at the cost of running everyone else out of business. I know many are excited about tonight's card,but I'm not totally convinced that this is going to be a great card. Combine that with an HBO 2 card with Zou Shiming's title shot from China and you have a good day of boxing. First ever Podcast with Content! !